The LAUSD HIV/AIDS Prevention Unit has a diverse materials review panel, which meets monthly to review and approve materials for classroom use. The Panel is composed of the teachers, community representatives and experts, students, and parents. The panel is open to everyone that would like to participate and fall into one of our categories for membership. Each member must be available to meet monthly. Members who fail to have consistent attendance will lose formal membership on panel. 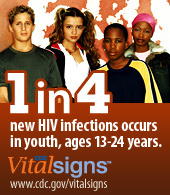 An application must be submitted to the HIV/AIDS Prevention Unit for formal membership. For questions regarding membership, call Tim Kordic at (213) 241-3519, or e-mail at timothy.kordic@lausd.net.